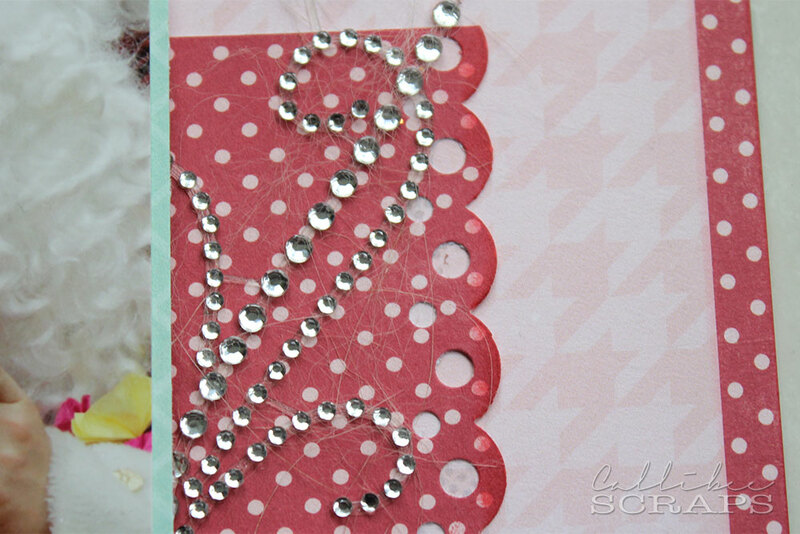 If you know me, you know I love my scrapbooking. Duh... But you'll also know that holiday layouts are my nemesis. Christmas, birthday, Easter and Halloween layouts are my downfall. I never seem to be happy with the outcome with them. Maybe it's because they are always in the same colour palettes; red/green for Christmas, pastels for Easter, orange/purple/green for Halloween. Or, it could just be because, they are the layouts that "have" to be scrapped, whether you want to or not. Whichever it is, I still have a couple of years of Christmas's that I have to put down on paper. 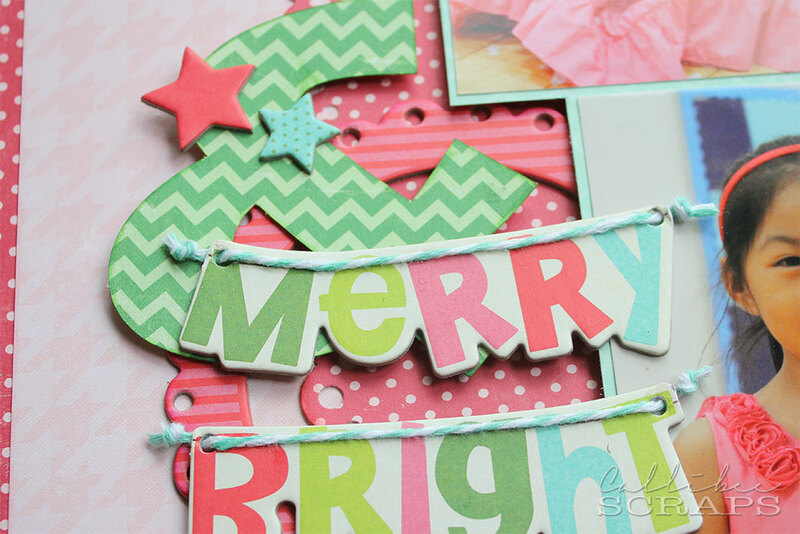 You can imagine my joy when I could do a Christmas layout in other colours. This one is predominant pink!! Yes! 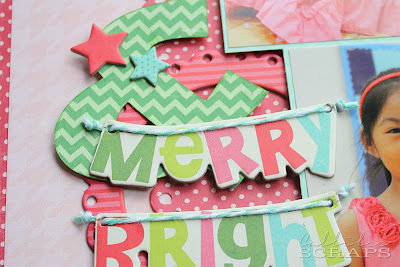 A pink Christmas layout. What more could you want. See? Pink! Matches my Miss C's dress perfectly. She looks like a little princess here. The title was one long chipboard banner which I cut in two. I also used my eClips to cut the big "&" to place behind. I think it looks almost tree-like. Note to Self: next time - put your layout somewhere safe, where the Jake cat can't treat it as a mat!